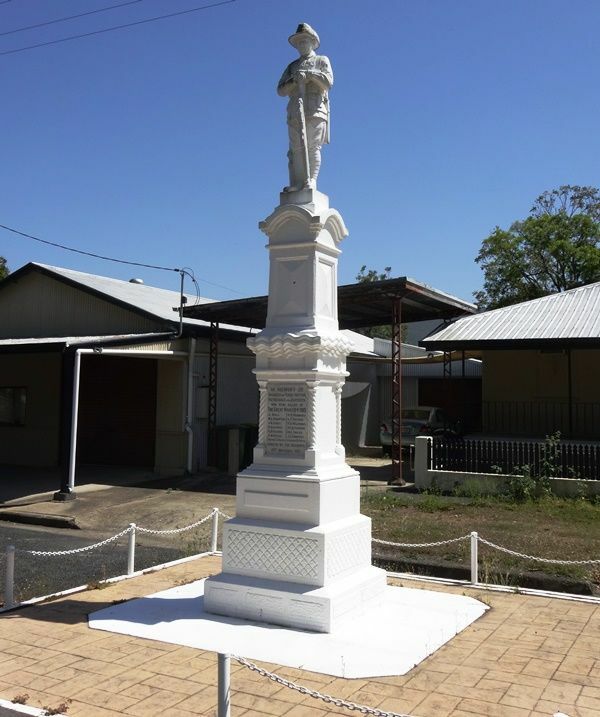 The monument commemorates those who died in service or were killed in action from the Finch-Hatton and Netherdale districts during World War One and World War Two. It was originally erected to commemorate those from World War One with the names of those from World War Two added at a later date. It was erected on 19 November 1921, and it is possible that it may never have been officially unveiled. It was erected at a cost of £200 which was paid for by public subscription.